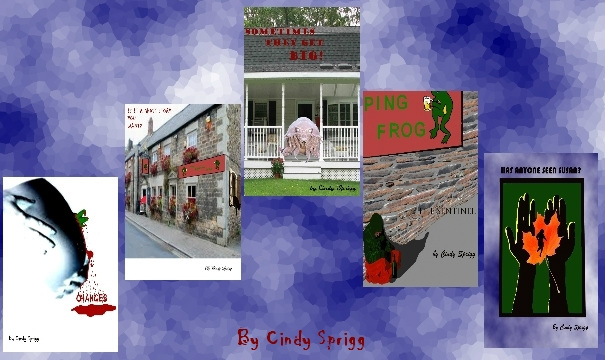 These short stories were gifted to me by the author for an honest review. Thank You! Alien spores are changing Cathy's unborn child. I have only ever heard the term “roundheels” before from my mother. I think that is a 50's saying to describe a so-called “loose” woman. She wears roundheels so that if you tip her over she falls flat on her back. This is a creepy and clever little story. It begins with Cathy's disgrace and ends with an alien invasion. Short but satisfying. 5 stars. An old woman walks into a tavern and tells a group of horror buffs a story. She tells a story about an ancient alien looking for revenge on humanity. An interesting little tale that is not as gory or creepy as other Sprigg's works that I have read. Mayeria comes across more sad than threatening to me. Or is it just me that feels sorry for the ancient alien? 4 stars.